Excited to depart on our first cruising adventure from Connecticut to the Bahamas, September 2013. Al was raised on the coast of Connecticut and has always been on the water, either power or sail (Jimmy Buffett’s Son of a Son of A Sailor.) When he is at the helm, he becomes “one with the boat” handling her on an instinctual level that few can achieve. Sailing was new to me but I quickly fell in love with it, just like I fell in love with him. Kindred Spirit, a 1987 Morgan 43 Center cockpit, was the fourth sailboat we have owned together. Over our twelve years with her, she was carefully outfitted for the goal of eventually living aboard and sailing south. Which we did! This blog began in July 2013 as a way to record our realization of that dream. After our wonderful adventure to the Bahamas, we sold our beloved Kindred Spirit in the summer of 2014 and purchased a 2003 Mariner Orient 38 trawler. She is our third Kindred Spirit (check out the page “50+ Years of Boats” to see the others and more). Homeport is Shennecossett Yacht Club in Groton, Connecticut. After 12 months of transforming this trawler, we made our second voyage to the Bahamas from September 2015 to May, 2016. We just had an offer accepted on a 38 foot Mariner whic is currently down in Annapolis. It needs to go through sea trials and survey, but don’t believe those test will prove to be problematic as it is fairly new with low hours. We kept out prior sailboat at the Westerly Yacht Club, just up the river from Napatree. We also have a mooring on Block Island. As I read you posting I could not help to think that if I deleted your names and inserted ours this posing could be ours next summer. Look forward to meeting up with your guys sometime. I have been following your adventure and enjoying your innovations, talents and overall positive attitude towards life. 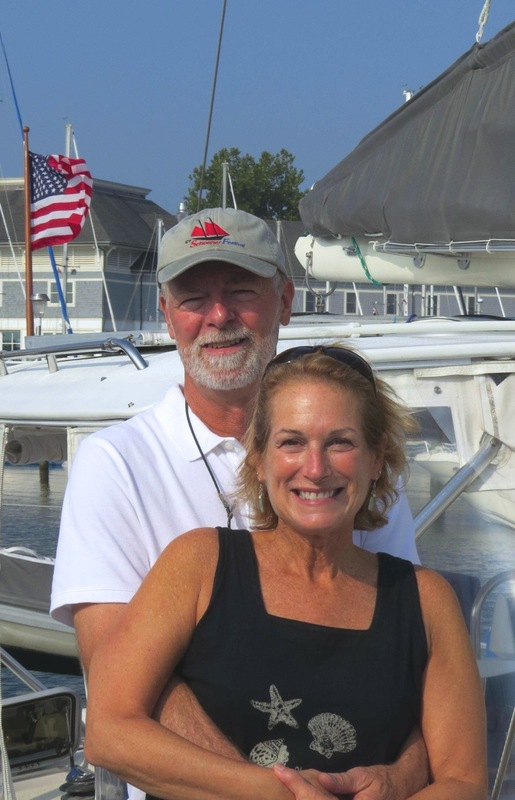 My wife and I own and operate a bareboat sailing business on the Chesapeake Bay. We recently sold our sailboat and are moving on to another chapter in our lives that will involve a trawler. We have always liked the Europa style trawler and currently have an offer in on a 2004 Mariner Orient 34. There is very limited information that I can find on these boats (print media or internet). In particular I am trying to find out if the fuel tanks are constructed out of black iron,steel or fiberglass. Both tanks are completely sealed in glass precluding a visual inspection to see if there is an inner tank beyond the glass. Any information or direction to helpful websites or publications would be most appreciated. I believe Steve Smith form Kent Island, Maryland was the person responsible for bringing the line to the US. However, I have not had any success finding any contact information. I saw you come into Tashmoo yesterday. I am on my Tartan 27 about a quarter mile toward the inlet. I am interested in buying an Europa style trawler and would love to take a look at yours for reference if possible. If so, I could row over some time when the wind isn’t blowing. No pressure either way. We have a Mariner 40 Europa style like yours. I am curious about how you like having your dinghy on the davits on the stern. We use our swim platform most of the time getting on and off our boat. I’m guessing you do as well. Can you tell me how you are able to get around the dink and davits? I am enjoying traveling with you down the East coast ICW. We did that trip a few years ago in our IP-37. This could be a second comment but the sentiments are the same. I thoroughly enjoy your writing and photography – filled with fun facts and some awsome pictures. Thanks for sharing – looks like you are having a great time. Wow, Michele, another great blog – so informative and the photographs are awesome – you should share this with the city of Mystic – it is a great ad for them – you are just filled with fun facts – very enjoyable. I’m really enjoying reading the posts about your adventures in cruising. I can relate to your struggle as you transitioned from sail to power but I’m sure the added years on the water will be worth the change. As my boys grew older they wanted to go faster and do more than just enjoy the zen of sailing so we went from sailing to fishing. I decided I wanted to cruise so I bought a 1978 Chris Craft and rebuilt it from the stringers up only to realize it wasn’t the boat and sold it on completion. I noticed that Al is not afraid to take a tool to the task so he may enjoy my adventures on “mysite/ragtop”. Anyway it was amazing how our search for a trawler crossed so many paths. I was convinced I wanted a Europa style and actually made an offer on a Mariner 38 in Annapolis. When I gave up we were $10K apart but my heart wasn’t in it. It was a twin and I really wanted a single. I located an Albin 36 but decided against it for all the same reasons you guys did plus it was a twin as well. I now have an Eagle 40 under contract in Connecticut and if it ever gets above freezing I am going to head up there to inspect it. I still like the lines and roomy outside space that the Mariner offers and if the one I looked at had the single I would have probably met the seller’s price. I look forward to following you guys on your next adventure and if the CT boat works out maybe we will see you along the coast. The next time you are in Beaufort, NC let me know and I would be delighted to show you some hospitality. Wow – those ocean photos are spectacular! I love the one with the very aqua sea and the footprints(?) on the sand…what kind of prints are those? Very interesting. The night crossing sounds very scary to me – how dark is it? How big is the moon? All of your fans will also miss the beautiful Bahamas that most of us will never see. Safe travels back up to the cold and still snow covered Northeast. Hi – this Hope Lighthouse blog was fascinating – you really need to publish this blog when you are back – you are such a good writer, Michele. I am enjoying your adventure – bring back some sunshine and sunsets! Keep writing. What an adventure. Michele, of course, losing your camera was upsetting, but don’t be concerned about the quality of your photos using just your phone. They are wonderful! You need to compile a book when you return. Best wishes! Hi Al and Michele! We just spent the weekend with Steve, Pat, Dave and Kathy at D & K’s house on Lake Winnipesaukee. Pat shared your blog with us and I’m looking forward to hearing about your travels Sounds like you two are having a grand time! We’ll get together when you return. Best wishes! Have a great time you guys, look forward to hearing about the adventure next spring.